The Neo-Babylonian Empire (also Chaldean Empire) was a period of Mesopotamian history which began in 626 BC and ended in 539 BC. During the preceding three centuries, Babylonia had been ruled by their fellow Akkadian speakers and northern neighbours, Assyria. A year after the death of the last strong Assyrian ruler, Ashurbanipal, in 627 BC, the Assyrian empire spiralled into a series of brutal civil wars. Babylonia rebelled under Nabopolassar. 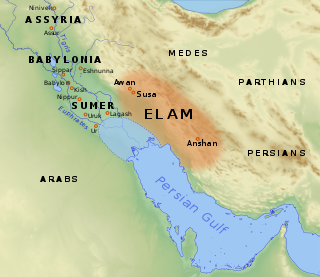 In alliance with the Medes, Persians, Scythians and Cimmerians, they sacked the city of Nineveh in 612 BC,  and the seat of empire was transferred to Babylonia for the first time since the death of Hammurabi in the mid-18th century BC. This period witnessed a general improvement in economic life and agricultural production, and a great flourishing of architectural projects, the arts and science. Aramaic is a language or group of languages belonging to the Semitic subfamily of the Afroasiatic language family. More specifically, it is part of the Northwest Semitic group, which also includes the Canaanite languages such as Hebrew and Phoenician. The Aramaic alphabet was widely adopted for other languages and is ancestral to the Hebrew, Syriac and Arabic alphabets. 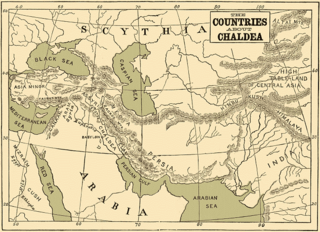 During its approximately 3,100 years of written history, Aramaic has served variously as a language of administration of empires, as a language of divine worship and religious study, and as the spoken tongue of a number of Semitic peoples from the Near East. Sumerian is the language of ancient Sumer and a language isolate that was spoken in Mesopotamia. During the 3rd millennium BC, an intimate cultural symbiosis developed between the Sumerians and the Semitic-speaking Akkadians, which included widespread bilingualism. The influence of Sumerian and the East Semitic language Akkadian on each other is evident in all areas, from lexical borrowing on a substantial scale, to syntactic, morphological, and phonological convergence. This has prompted scholars to refer to Sumerian and Akkadian in the third millennium BC as a Sprachbund. 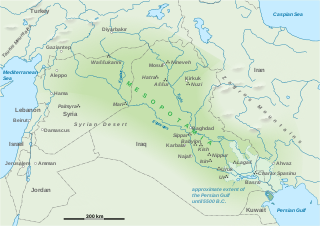 Sippar was an ancient Near Eastern Sumerian and later Babylonian city on the east bank of the Euphrates river. Its tell is located at the site of modern Tell Abu Habbah near Yusufiyah in Iraq's Baghdad Governorate, some 60 km north of Babylon and 30 km southwest of Baghdad. The city's ancient name, Sippar, could also refer to its sister city, Sippar-Amnanum ; a more specific designation for the city here referred to as Sippar was Sippar-Yahrurum. Amel-Marduk, 'man of Marduk' was the son and successor of Nebuchadnezzar II, king of Babylon. Nergal-sharezer or Neriglissar was King of Babylon from 560 to 556 BC. He was the son-in-law of Nebuchadnezzar II, whose son and heir, Amel-Marduk, Nergal-sharezer murdered and succeeded. A Babylonian chronicle describes his western war in 557/556 BC. He is traditionally listed as a king of the Chaldean Dynasty; however, it is not known if he was a Chaldean or native of Babylon, as he was not related by blood to Nabopolassar and his successors. His name is mentioned as one of the high-ranking officers of king Nebuchadnezzar II in the Book of Jeremiah 39:13. Labashi-Marduk was a king of Babylon (556 BC), and son of Neriglissar. Labashi-Marduk succeeded his father when still only a boy, after the latter's four-year reign. He was murdered in a conspiracy only nine months after his inauguration. [ citation needed ] Nabonidus was consequently chosen as the new king. In 539 BC, Cyrus invaded Babylon. Nabonidus sent his son Belshazzar to head off the huge Persian army; however, already massively outnumbered, Belshazzar was betrayed by Gobryas, governor of Assyria, who switched his forces over to the Persian side. The Babylonian forces were overwhelmed at the battle of Opis. Nabonidus fled to Borsippa, and on 12 October, after Cyrus' engineers had diverted the waters of the Euphrates, "the soldiers of Cyrus entered Babylon without fighting." Belshazzar in Xenophon is reported to have been killed. Nabonidus surrendered and was deported. Gutian guards were placed at the gates of the great temple of Bel, where the services continued without interruption. Cyrus arrived in Babylon on 3 October, Gobryas having acted for him in his absence. Gobryas was then made governor of the province of Babylon. Ashur-etil-ilani was a king of Assyria. He succeeded his father Ashurbanipal. Ashur-uballit II(Aššur-uballiṭ II) was the last king of the Neo-Assyrian Empire, succeeding Sin-shar-ishkun. He took his name from Ashur-uballit I, the Assyrian king who had overthrown the Mitanni Empire and defeated the Hittite Empire, and started the Middle Assyrian Empire. While it is clear that he was a member of the Assyrian royal family, and that he was a tartan (General) of the Assyrian army before declaring himself king, there is some disagreement as to whether or not he was the brother of Sin-shar-ishkun. The Medo-Babylonian war against the Assyrian Empire was the last war fought by the Neo-Assyrian Empire. The war ultimately led to the destruction of the Neo-Assyrian Empire. After the death of Assurbanipal in 627 BC, the Neo-Assyrian Empire entered a period of instability caused by the revolt of Sin-shar-ishkun against his brother Ashur-etil-ilani. This was the moment when the Babylonian ruler, Nabopolassar, led a revolt against Assyrian rule. After a few years of war, the Babylonians expelled the Assyrian forces from their territory. ↑ John F. A. Sawyer; David J. A. Clines (1 April 1983). Midian, Moab and Edom: The History and Archaeology of Late Bronze and Iron Age Jordan and North-West Arabia. A&C Black. p. 41. ISBN 978-0-567-17445-1.